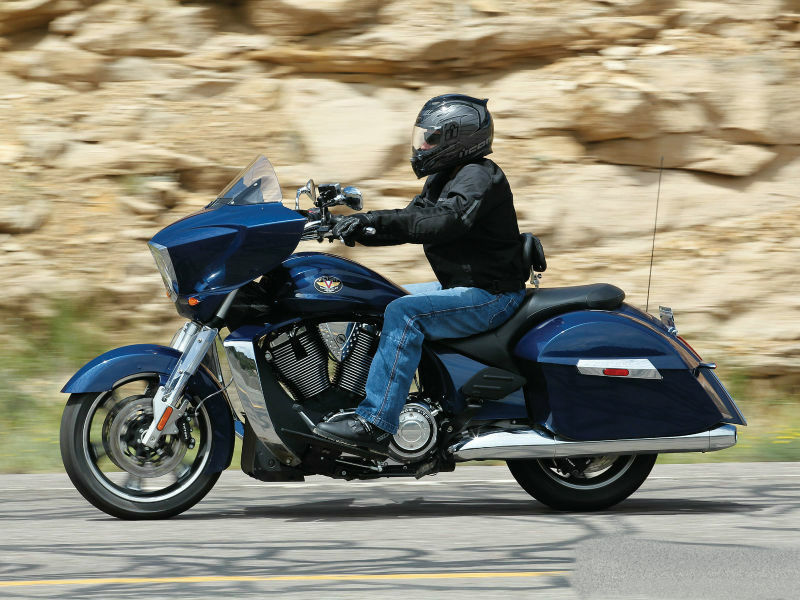 Victory Cross Country is a stylish and attractive cruiser with all the latest technology and quality design. Read the review to explore the features, technical specifications & price. 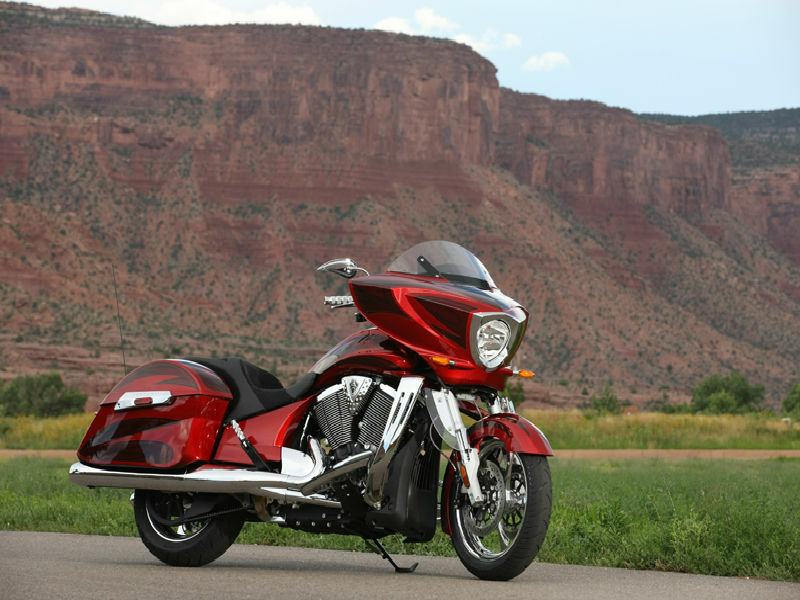 With the unique looks, smooth performance and advanced technology, the Victory Cross Country serves as an attractive choice among bike lovers who search for comfort and better riding experience. The trendy appearance of the motorbike includes the wider seat, saddle bags, comfortable foot rest design and the list goes on. The bike is not only about stunning appearance has it is stuffed with some of the advanced machinery which assure better riding. The vehicle comes with Freedom 106/6 V-Twin engine which uses electronic fuel injection system for the greater fuel efficiency and better performance. The maximum power generated from this1731 cc engine is about 97 bhp and the highest torque achieved is 153 Nm. The power so produced reaches the wheels of motorbike through 6 speed transmission which help in smooth changing of gears. The huge and stylish appearance of Cross Country makes it a real stunner which as the power to attract larger crowd. The wider and longer comfortable seats, stylish fuel tank, the trendy structure of headlamp, striking foot rest design and instrument panel provided serves as charismatic features of the bike. Saddle bags at both the edges not only add to the looks but give enough storage space necessary for trouble free long journey. Other appealing factor about the motorcycle is MP3 compatible, FM/AM two speakers. The advanced technology used makes riding this classic bike an all new experience. The cruise control option provided assure relaxed, problem free driving as it helps to maintain the desired speed automatically. The suspension including the front Inverted cartridge telescopic fork and rear single, mono-tube gas make sure that the driving is smooth. Further the ABS (Anti Lock Brake) provided gives complete control of vehicle to rider as it helps in quick stop within a short distance. 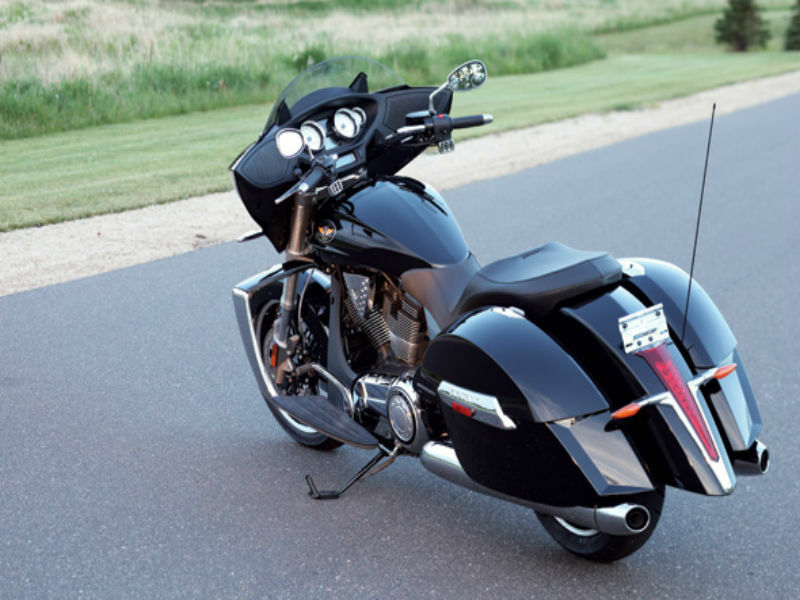 The victory bikes are said to give a good mileage and this is same with Cross Country also but the exact figure of it is yet to be known. The ex-showroom price of the vehicle is expected to be close to Rs. 18,00,000 and exact details about colors is not available.